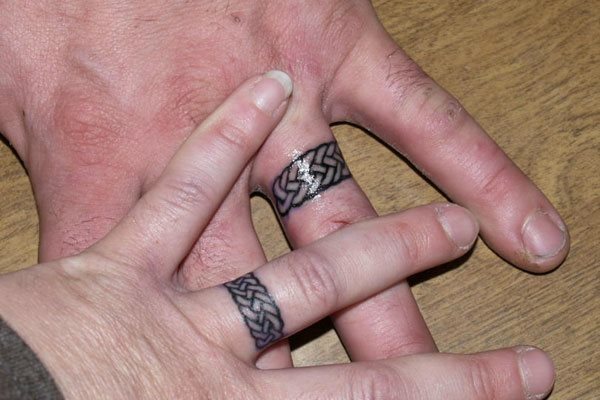 Varieties of wedding bands like the plain, hand crafted, contemporary Celtic and lot more other designs are available and all these are made in ink as the wedding band tattoos. Wearing these wedding bands can symbolize the love for each of them in the couple. It is a very important custom in the west and is a matter of tradition in many parts of the world.